As the European Parliament voted to reject the ACTA agreement on July 4, 2012, it was a huge victory. What did we do right, and how can we do that again? These are questions we need to discuss, because we will need to do it again. The ACTA agreement as such is dead, but the ACTA proponents have not surrendered. They will try to pass ACTA’s substantial content under other acronyms. And besides ACTA, there are plenty of other issues that also carry a direct imapct on net liberty and on liberty in society at large. Therefore, it is not just important that we can win, but also how we can win. We won the ACTA battle because there was pressure from two sides at once – both from the inside of parliament and from the outside. It took simultaneous pressure from both sides to win. It’s a bit like squeezing toothpaste from a tube. It’s not enough to apply pressure on one side. Without the activist pressure from the outside of parliament, we would never have won this match. But without from the work from the Pirate Party and others on the inside, there would never have been a match at all. But let’s take it from the start. In the 2009 European Election campaign, the Pirate Party mentioned ACTA mostly in passing, but it was on our radar. I blogged about ACTA the first time in October 2008, due to both the Green Party and the Honorary Pirate and Moderate MP Karl Sigfrid had written one motion about ACTA to Swedish Parliament. At that time, the issue was already on activists’ radars, and others had blogged about ACTA earlier. The first thing I did when I had gotten elected to the European Parliament was to make sure that Erik Josefsson was hired as political secretary for the Green group in the European Parliament. (In practice, this was my only demand for joining the Green group as an independent MEP.) As many know, Erik is a veteran for the fight for a free internet, and one of the most knowledgeable and energetic net liberty activists in Brussels. Through Erik’s efforts, the Green group commissioned a working group on ACTA (where I was one of the people involved), and made sure to coordinate with net activists, using mailing lists and the newly-started site Act-On-Acta.eu among other methods. The Green group would all too surely have opposed ACTA under any and all circumstances, but thanks to the Pirate Party and Erik, this Parliament has given issues of information policy a lot more attention. ACTA is one example of this. This is important, for there is a chasm of difference between a political group working actively in a political area instead of just having opinions in general but not doing anything much. In this regard, the Pirate Party’s accession to the European Parliament has made a clear difference. After this, a long series of partial ACTA battles took turns in Parliament. 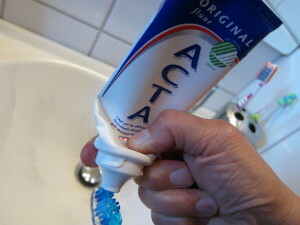 Do take a look at the list of events and links at Act-On-Acta, or browse the ACTA-related articles on my blog. Politics is always a marathon, and nothing happens by itself overnight (well, nothing good, at least). So we grinded on, together with activists outside of Parliament who were also tracking the issue. We lost some partial battles and won some others, but honestly, the prospect of stopping ACTA never looked particularly promising. We always fought uphill. The three largest groups in the European Parliament – the conservative EPP, the Social Democrats, and the Liberals – had not formally taken a position on ACTA, but all three of them were practically in favor of it. Together, they wield a crushing majority, and if they’re in agreement, it doesn’t matter what anybody else thinks, nor does it matter if there are scattered dissidents within those groups. This was the battle map as late as January 2012, half a year before the vote. The Green group (where the Pirate Party resides) was against ACTA, together with the Left group and the British Eurosceptic party UKIP. In total, maybe 15% of the Parliament votes, quite a far cry from the 51% you need to win in politics. We kept grinding, but found it hard to feel particularly hopeful. But then, something happened. Tens of thousands of ordinary citizens took to the streets and protested ACTA, in Poland at first, and then all over Europe. Mail poured in to the Members of European Parliament from citizens who asked them to vote against ACTA. This changed the playing field in the European Parliament completely. First, the Social Democrat group turned, and took a position against ACTA. Even though I’m sure they used more sophisticated language in internal discussions, I think their gut feeling was “Look, they’re staging protests in a demonstration, that’s what we do! This may be our kind of people, we must try making friends with them!”. No matter what the internal discussions sounded like, it is for sure that it was the rallies and the pressure from citizens who mailed that made the Social Democrats decide to be against ACTA. Otherwise, the Social Democrats would almost surely have done as the European Commission asked, and voted in favor of the agreement. But once they knew what they wanted to be against, it was easy for them to assume that position. The arguments against ACTA were already written in-house, and were known in all political groups after the discussions with us, who had been against ACTA from the get-go. Now, all the hard work we had done paid off, all the hard work we grinded with while the battle map looked hopeless. As for the Liberal group, I don’t think it were the rallies as such that was the triggering factor, but more likely, it was the Pirate Party’s ongoing successes in Germany that was the key reason for their deciding to vote against ACTA. This may require a bit of explaining. The Liberal group is the third largest in the European Parliament, with about 85 MEPs. It is considerably smaller than the two large groups (the conservative EPP and the Social Democrats), but to paraphrase a Wikileaks cable, they are “a medium-sized group with big-group attitude”. To retain this image of themselves after the next European Elections, they must have a strong German delegation in the group. Germany is Europe’s most important country, and if there would be only some single German MEP in the Liberal group, it would be obvious to everybody that the Liberals would only be a minor group like everyone else, and don’t play in the same league as the EPP and the Social Democrats. Exactly this scenario can play out if no action is taken, since the liberal German party FDP is currently doing terribly, and it is being at risk of being more or less erased. On the other hand, a party that is doing very well in Germany is the Pirate Party, which has gained entry into four state-level parliaments and continues to poll at 7-8%, Germany-wide. In the European Elections of 2014, the German pirates will send MEPs to Brussels with certainty. The group leaders of the Liberal group has noted this, and would very much like to attract the German pirates to join the Liberal group instead of the Green one. That way, they would keep a large German delegation even if FDP makes an election disaster. I’m convinced this was the reason for the leadership of the Liberal group putting its authority behind a group-wide vote against ACTA. The Liberals were (and are still) divided on net liberty issues: from MEPs like Marietje Schaake, who are as much pirate in her soul and being as Amelia and myself, ranging to nightstick liberals who have the exact opposite opinion. But this time, most of them toed the party line and voted against ACTA, once the mass protest had put the issue in the spotlight. In the final vote in the European Parliament, the numbers were 39 votes in favor of ACTA, 478 against, with 165 abstentions. Those are brilliant numbers, even if you take into account that most of the 165 abstaining were ACTA proponents who would have wanted to vote in favor, but abstained for tactical reasons as they knew they’d lose anyway. So if you only look at the numbers from the final vote, you’d be tempted to believe that Parliament’s no to ACTA was a given since a long time a go. But as I have explained, this was not the case at all. The victory over ACTA was the result of activism and long-term work from a huge lot of people, both on the inside and outside of the European Parliament. Pressure from both sides of the tube at the same time, in a reasonably coordinated fashion, and without hinder from party borders. That’s when we won. We will do that again. This post originally appeared in Swedish at MEP Christian Engström’s blog. Translated into English by Rick Falkvinge. As you said they may have lost the battle, but the war is far from over. All we can do is (as i see it) is keep fighting and hope that when the next generation take over, a generation to whom the Internet and all its options have become such a big part of their lives, that to imagine a world where such liberties would completely impossible and unacceptable. Yes it is, and people who aren’t willing to keep their swords strapped to their sides ready to defend it will have no one but themselves to blame if they lose it. Great points in a great article. There’s CETA to worry about for sure, but India has its own version of ACTA to worry about, and I’m not sure the Pirates are aware of this. Please look into it and be ready to fight it in September: they’re hoping to wind it up by the end of the year. Nitpick: The title should be “How we won ACTA”, not “Why”. You’re probably right – updated. Thanks. That one is like a monopoly of a monopoly in the most restrictive case. And then there’s TPP, Trans-Pacific Partnership, also with a Hollywood –> USGov –> USTR written “IPR Chapter”. With the same content. “They” (and we all know who ‘they’ are) are trying to establish a beachhead, which is to function as a new benchmark. For instance there is no requirement to make copyright last longer than life + 50 years, but still the EU (yes you, EU!) is trying to force Canada to adopt life + 70 years (that’s a heck of a long time!) just because that’s what they have. Good analysis, but still the problem is much deeper – it took too much time and energy to defeat ACTA – if we’d need to do this time and time again we’ll wear out very quickly, this kind of asymmetry is unacceptable. It is unacceptable that we need to mobilize half the Internet just to prevent an obviously bad law from passing. Imagine what kind of pressure we’d need to actually pass a good law – that’s outright impossible the way things are now. So the focus needs to shift toward reforming the system in a way to make direct participation easier and weaken/dismantle the top-down centralized structure of the EU. How is it for example possible that the EU parliament/members doesn’t have the power to propose a law? What kind of parliament is that? As far as I know the commission doesn’t even have to respect the vote of the parliament if they choose to do so. It seems it is purely ceremonial, just like in Soviet Russia – legally parliament has no power whatsoever, the commission needs to respects it’s vote only to the extent they do not want to lose legitimacy and shatter the illusion of democracy they’ve created. Correct me if I’m wrong but it seems the EU is from a legal standpoint a dictatorship of 27 unelected commissioners which legally do not have to listen to anyone. How is this even remotely acceptable? I suspect it’s because most people don’t know this is the case – the charade of the parliament is working. This is the root cause of our problems and this is what needs to be addressed if we do not want to wage an uphill battle every time a bad law enters the arena. And if we want to actually pass good laws this absolutely HAS TO change, otherwise there is no chance whatsoever. So this is where we should move next, it’s great undertaking but it has to be done if we ever want to achieve anything substantial and start to lead the way as opposed to just slightly delaying their way! Yup, and since EU covers most of Europe now, they can keep pressing and applying the law over all the member states, laws that THEY want, until they get passed, all the while ignoring the wishes of the people. I mean, just look how they proposed the European Constitution to get rid of the european nations’ sovereignty, so that they could just dictate what they want to Spain, Belgium, Slovakia, Italy, etc. They did let referendums in France and Netherlands, but once they were shot down, they said publicly “We don’t care, we’re going to make sure this passes.”. They REALLY said it like that! They then implemented most of its provisions in the Lisbon Treaty of 2009, without any kind of public input or debate whatsoever. The fact that the text was massively convoluted was just another proof that they wanted to keep everyone confused so that noone would look at it, and they could pass it legally. This is one of the reasons I’m against European Union. They give Parliament this limited power to make the illusion that we have a democracy (which I’m against as well due to how easily it’s circumvented and been circumvented) while trying to keep us in the dark with their manipulation of the media (the videos on ACTA that I watched and were produced by Euronews all were biased in favor of the commissioners). In a way, this is worse than a pure dictatorship, because enslaved people think they’re free, which is brainwashing at its finest! Yes, many will find it difficult to accept, but EU is a dictatorship. They may not have absolute power right now, but they’ll keep pushing their agenda in the dark every time it fails, until it passes (like it already happened). They don’t even hold referendums on many crucial subjects, like immigration, economy, etc. That’s why I call to dismantle EU, or at the very least grant executive powers to the Parliament, so that the Commission doesn’t just get to do anything it wants eventually. The EC is really just a bunch of elite crooks that don’t represent the people in any way. We should be targeting the root of all these problems. I think this is the fundamental step that we should be taking, instead of playing by their stacked rules. Why do we even NEED to fight all these bad laws coming up and no good one surfaces (even if the definition of “good” and “bad” might be subjective at times)? If we always need to fight uphill, there’s definitely something wrong with the system! I’ve been looking at this site from time to time to see if there is any news about the upcoming TTIP – wich is ACTA on steroids. Nothing, great silence. Why is that? There should be a similar campaign organized over this monstrosity! If ACTA seemed bad, now this is tripleplus nogood!